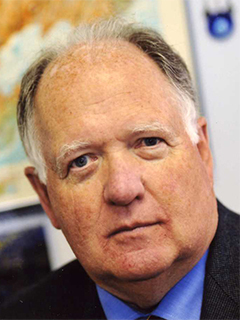 Boston University professor and U.S. Navy veteran Michael Corgan died unexpectedly on Nov. 20 at age 77 due to complications from a cancer-related surgery. Corgan, an associate professor of international relations at the Frederick S. Pardee School of Global Studies, was well-loved by faculty and students, said William Grimes, associate dean for academic affairs and professor of international relations at Pardee. Corgan was a surface warfare officer in the Navy with two combat tours, and was an instructor at the U.S. Naval Academy. He taught an estimated 12,000 students during his tenure at BU, Grimes said, and more if you count his time as a teaching fellow. Grimes said Corgan’s legacy will be defined by his drive and contribution to Pardee’s international relations curriculum. Pardee Dean Adil Najam said Corgan’s death was a major shock. Najam praised Corgan’s contributions to Pardee and BU. Erik Goldstein, an international relations and history professor in Pardee, said he has worked closely with Corgan since coming to BU. After coming to BU, Najam said, Corgan was a big influence on the Department of International Relations, and later, Pardee.